In Heads Up this month, Headmaster Jones points you to an article that reveals incoming college students lack the reading and writing skills necessary for college English courses. Amid a national interest in developing strong mathematicians and scientists, let's not forget about the importance of writing. Cathedral School's English teachers have spent the better part of this year revising our writing curriculum and developing a comprehensive Upper School Style Guide. However, according to a recent National Assessment of Educational Progress report, 40 percent of those who took the ACT writing exam in the high school class of 2016 lacked the reading and writing skills necessary to complete successfully a college-level English composition class. 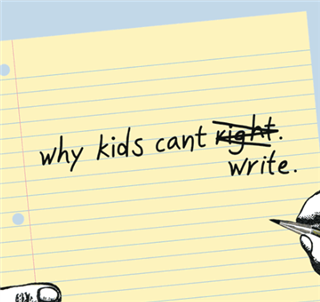 The New York Times' article examines "Why Kids Can't Write" and focuses on what schools around the country are doing about it.